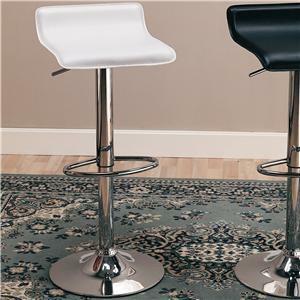 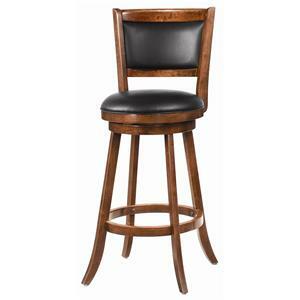 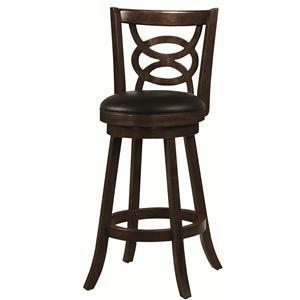 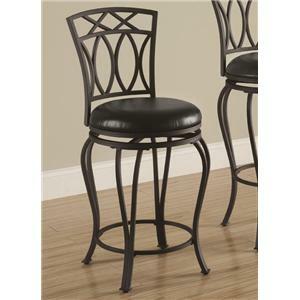 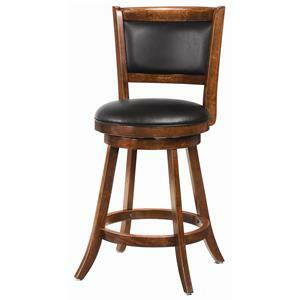 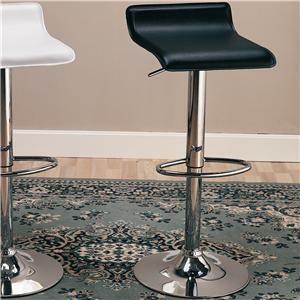 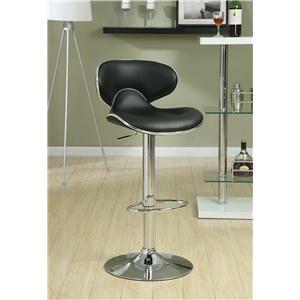 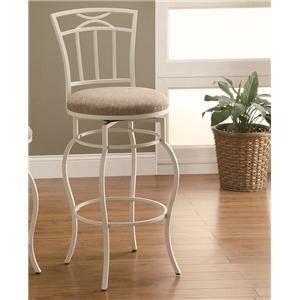 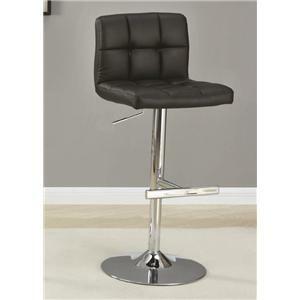 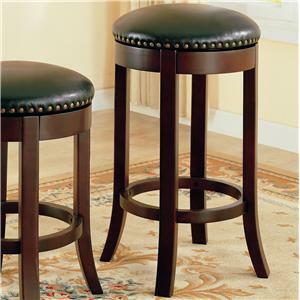 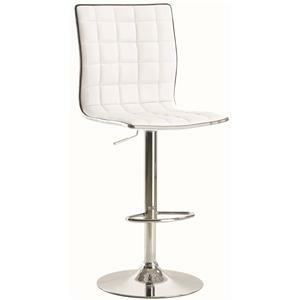 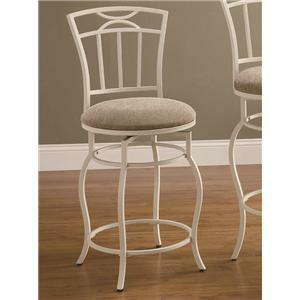 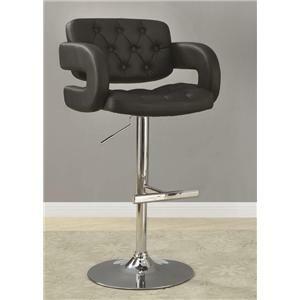 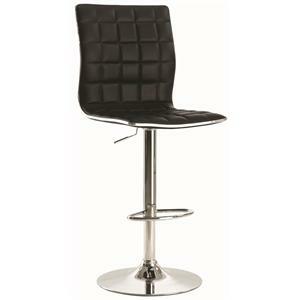 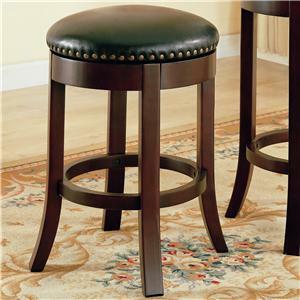 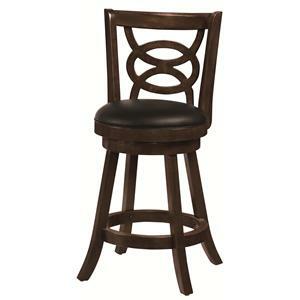 Accent your bar area or pub table with this beautifully detailed barstool. 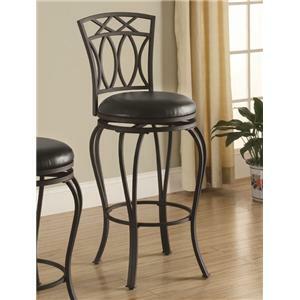 A square decorative metal backrest with wood trim and scrolled armrests allow this elegant barstool to easily function in both casual and formal settings. 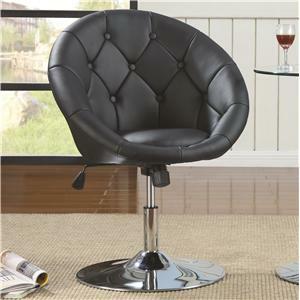 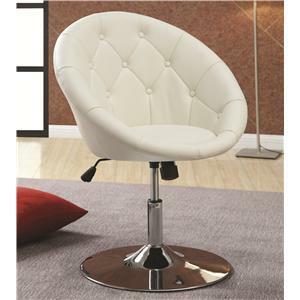 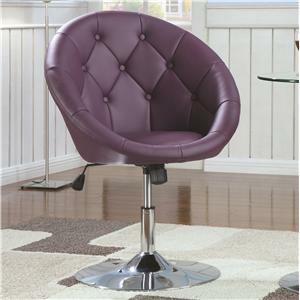 Round padded seat cushion covered in a black faux leather upholstery adds comfort and support. 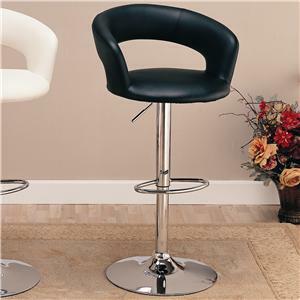 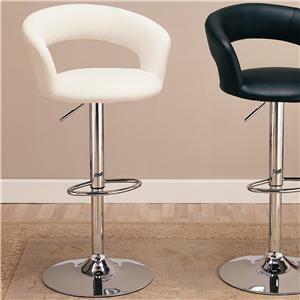 Completed with curved metal legs and round footrest, this barstool promises to deliver long-lasting support for years to come. 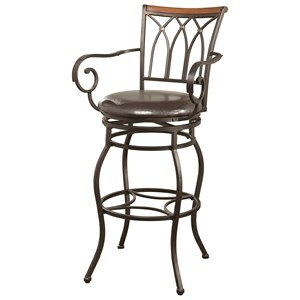 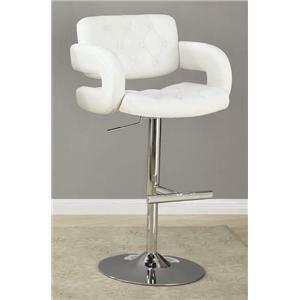 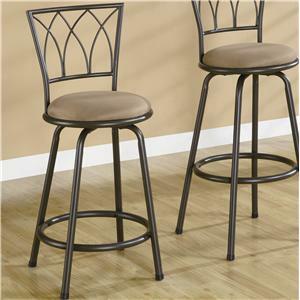 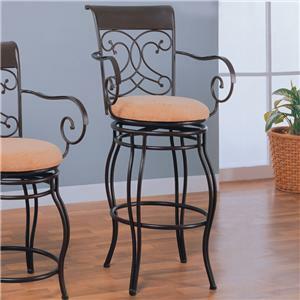 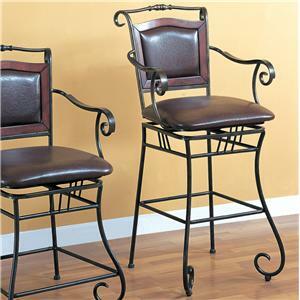 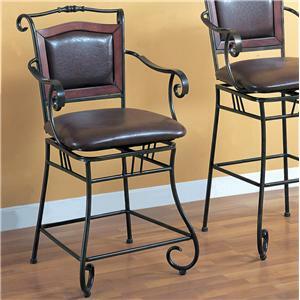 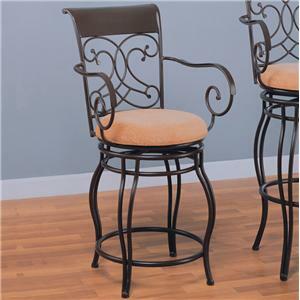 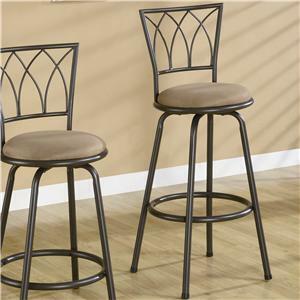 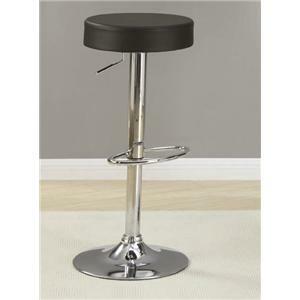 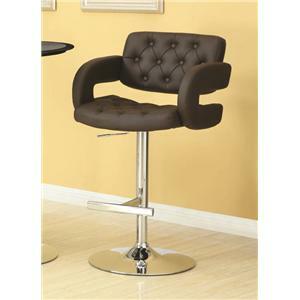 The Dining Chairs and Bar Stools 29" Decorative Metal Barstool by Coaster is available in the area from FMG - Local Home Furnishing.